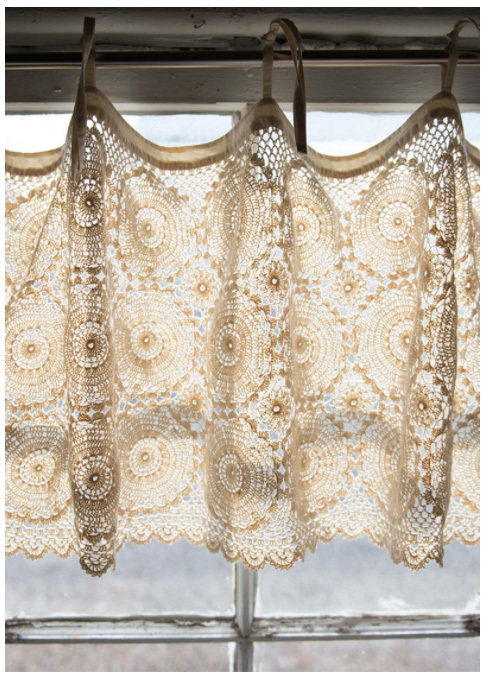 When the window is all about the view but needs something simple to dress it up, the hand made Crochet Medallion valance is the perfect answer! Attach to the rod with the ribbon ties for a homespun feel. Measures 45W x 16L in your choice of white or natural color. Returns gladly accepted for unused merchandise within 30 days, excluding shipping costs. Customer pays return shipping charges. Please include a copy of your invoice in the package. Copyright Victorian Curtain Shop. All Rights Reserved. .